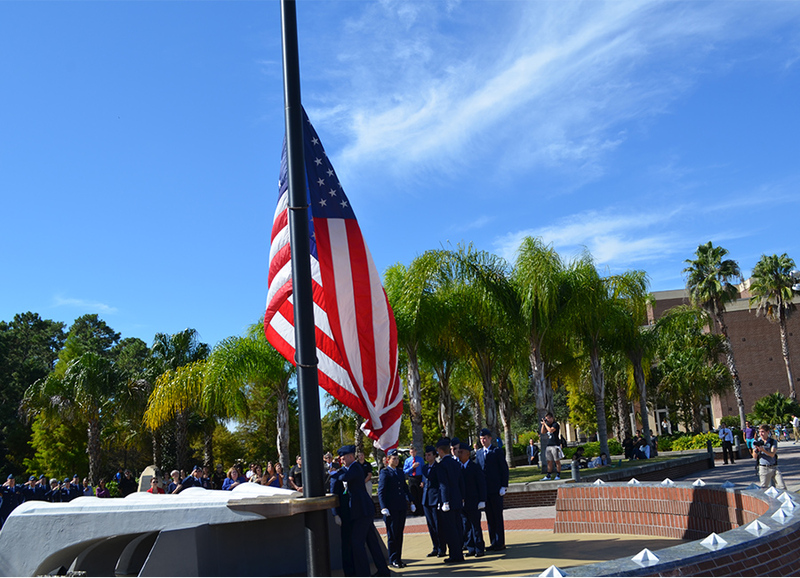 1UCF honored veterans Friday, Nov. 7, during a ceremony at the Veterans Commemorative Site on Memory Mall. 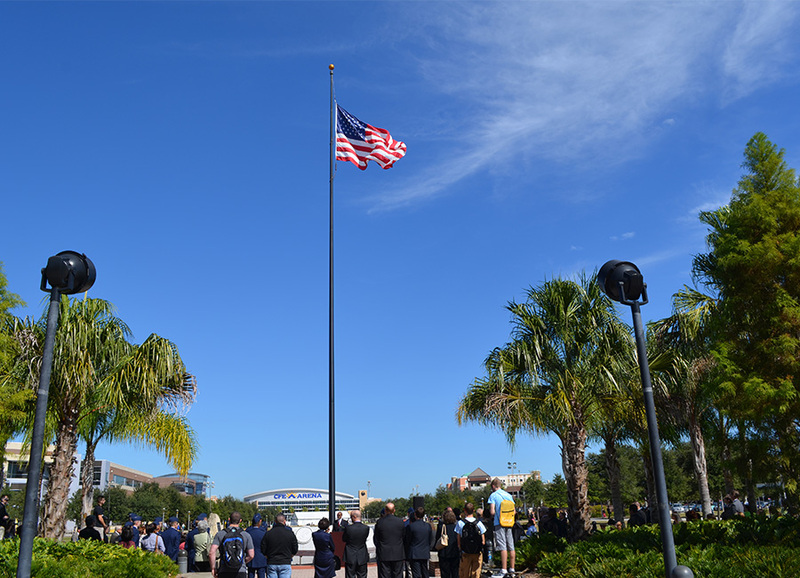 The service is part of UCF’s Veterans Week, which includes a job fair, luncheon, workshops and other events. 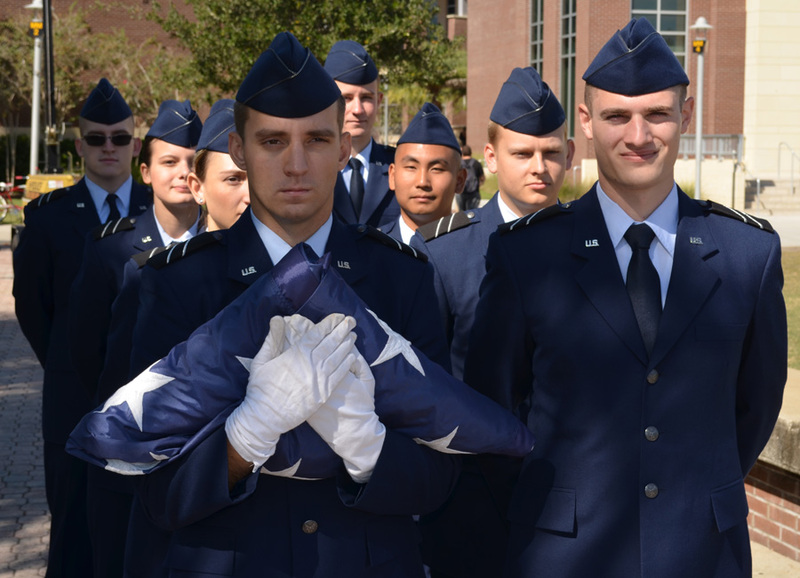 2The ROTC Color Guard presents the flag for the day’s flag-raising ceremony. 3Col. 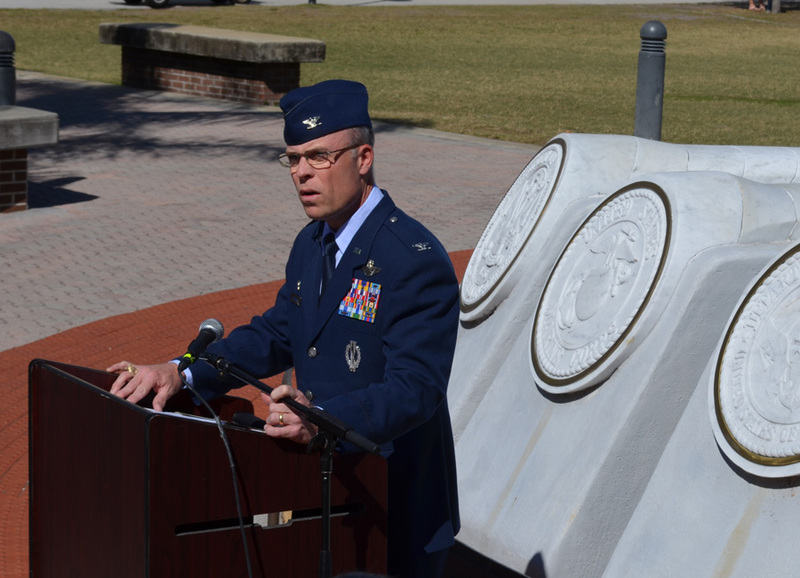 Lance A. Kildron, chair of the UCF Air Force ROTC, welcomes veterans and the UCF community to the commemorative ceremony. 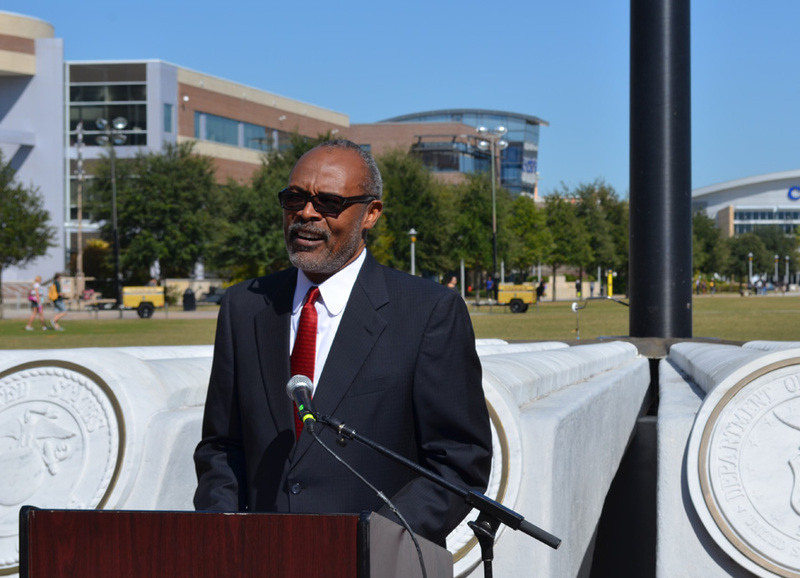 4Matthew M. Carter II, a member of the State University System of Florida’s Board of Governors, gives the keynote address. 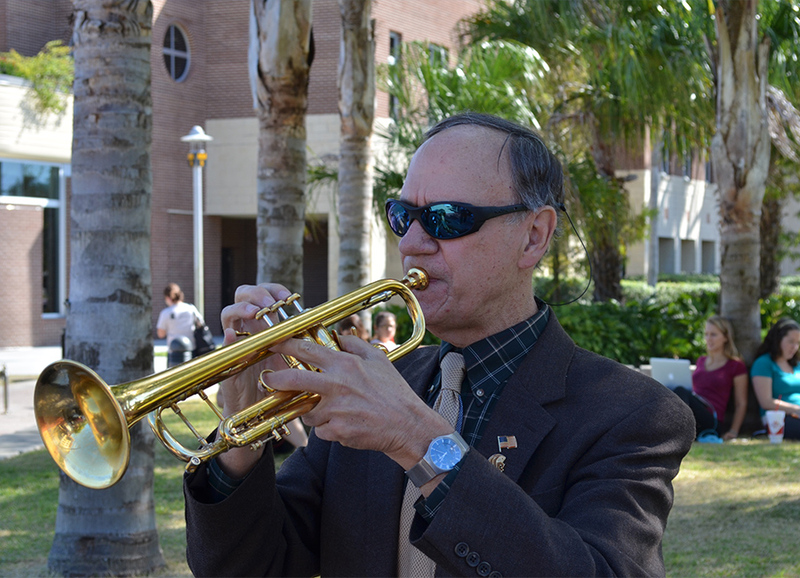 5John Almeida, associate professor in the music department, sounds Taps. 6A moment of silence to remember and honor veterans. 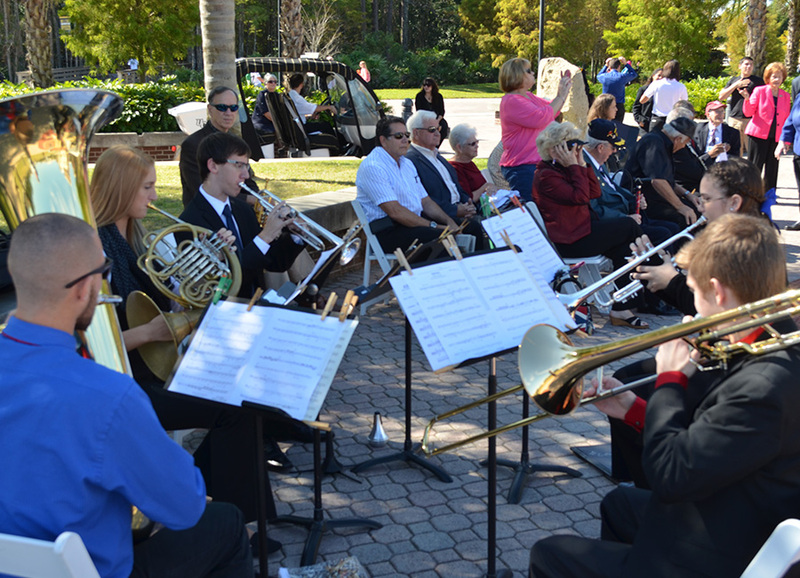 7The UCF Colbourn Brass Quintet plays a patriotic march. 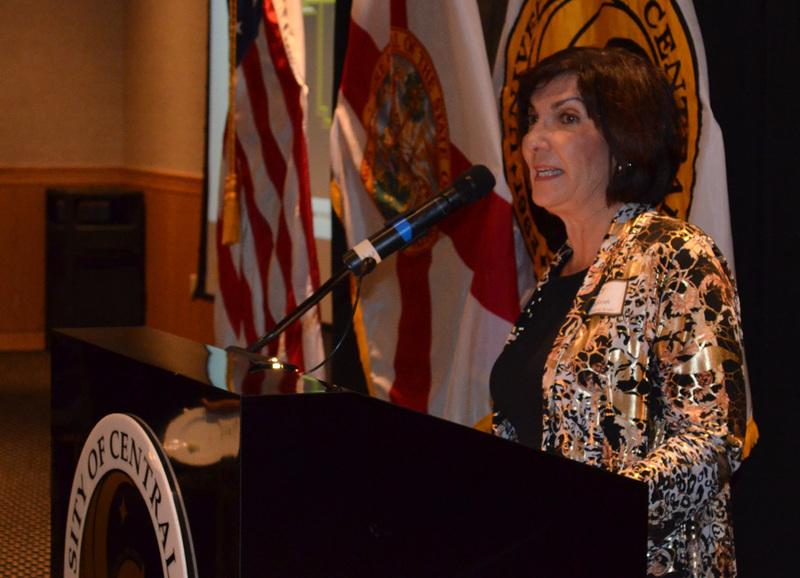 8 Luncheon speaker professor Deborah Beidel, who runs an Army-funded PTSD therapy program, talks about the results the program has achieved. 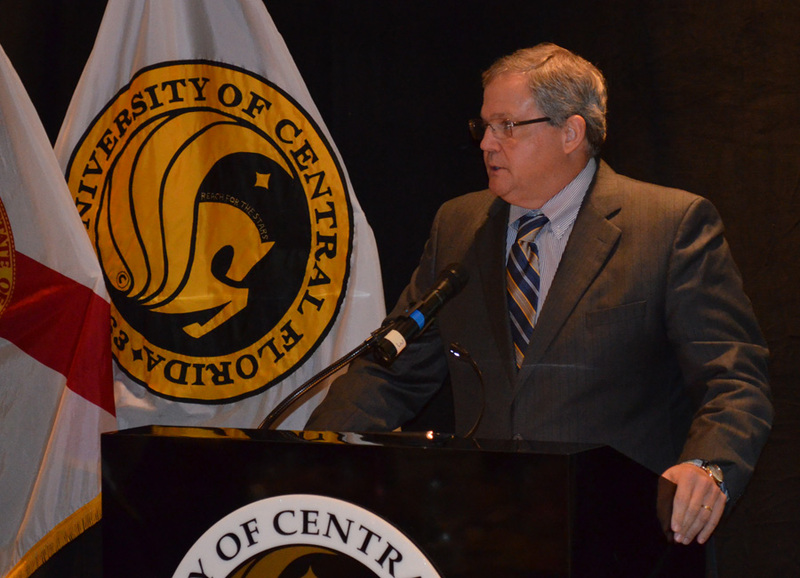 9Chancellor Marshall Criser III of the Florida Board of Governors addresses the luncheon at FAIRWINDS Alumni Center on campus. 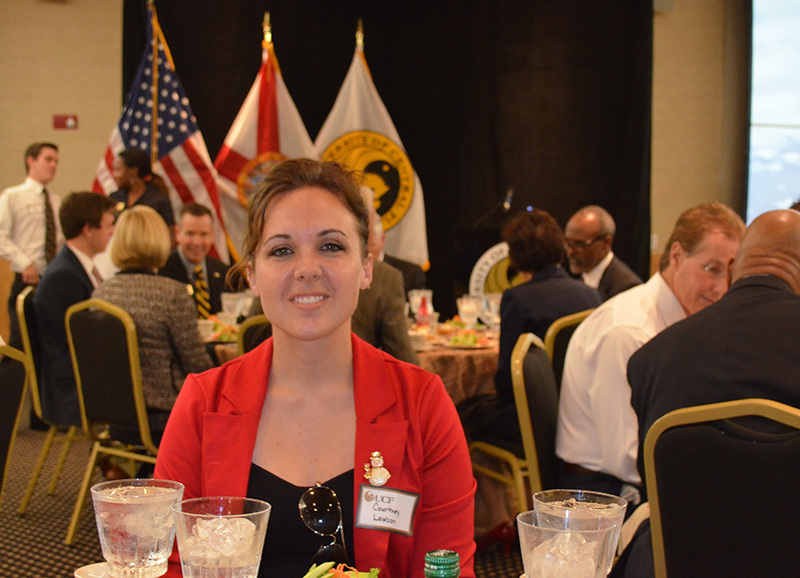 10Courtney Lawson, a Marine student veteran at the luncheon, is studying biomedical sciences. 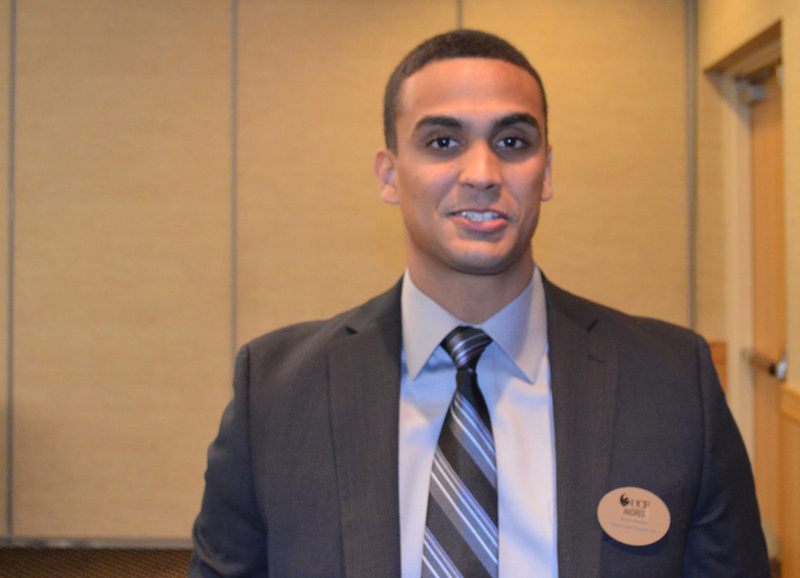 11Andres Duran, an Air Force student veteran, attends the luncheon.